Inbal Goshen is a faculty member at the Edmond and Lily Safra Center for Brain Sciences (ELSC) at the Hebrew University in Jerusalem. Her interest in the neural basis of behavior led her to acquire a dual-Ph.D. in Neurobiology and Psychology, followed by postdoctoral training in optogenetics in the Deisseroth lab at Stanford University. Dr Goshen studies the effect of Glia cells on the neuronal circuits underlying complex cognitive and emotional behaviors. Another major interest in her lab is the transition from recent (hours-days) to remote (weeks to years) memory – and the involvement of both neurons and glia in this mysterious process. To address these questions, she employs a wide arsenal of tools – from molecular biology and electrophysiology to 2-photon imaging in behaving mice. 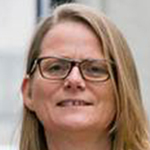 Elly Hol is professor of “Glia biology of brain diseases” at the University Medical Center Utrecht and professor of “Biology of glia and neural stem cells” at the University of Amsterdam. The research of her group is focused on the role of glial cells in brain diseases, including Alzheimer’s disease, stroke, schizophrenia and glioma. The overall aim is to elucidate the molecular and functional changes in glia that contribute to the pathogenesis of neurological and psychiatric diseases. Her work is particularly concerned with studying glial cells in human post-mortem brain tissue, human cell models, and in mouse models for brain diseases. She applies sophisticated immunological, molecular, and cell biological techniques on whole brain tissue and on glia isolated from human and mouse brains. Elly was trained as a medical biologist with a specialization in molecular neurobiology. After her Ph.D. in Utrecht, she obtained a Max-Planck Fellowship to work for 2 years at the Max-Planck-Institute for Neurobiology in Martinsried, Germany. In 1997, she started as a post-doc at the Netherlands Institute for Brain Research in Amsterdam, where she acquired substantial funding, including a fellowship of the Netherlands Brain foundation. Between 2003 and 2013 she headed the group “Astrocyte Biology & Neurodegeneration” at the Netherlands Institute for Neuroscience. As of 2013 she works at the department of translational neuroscience, Brain Center Rudolf Magnus, University Medical Center Utrecht. She is in the editorial board of Glia and Neuroglia, chair of the scientific advisory board of Alzheimer Nederland, chair of GliaNed, and coordinator of the master track Experimental and Clinical Neuroscience. Her work is published in leading journals such as Brain, Molecular Psychiatry, Science, and Stem Cells Translational Medicine. She is regularly invited as a speaker at dedicated research conferences and at events for the general public. Arlette Kolta is a full professor at the University of Montreal with a dual affiliation with the Departments of Stomatology of the Faculty of Dentistry and Neurosciences of the Faculty of Medicine. She was the director of the Quebec Oral and Bone Health Research Network from 2012 till end of 2017. After a PhD in Neurological Sciences under the supervision of James Lund at the University of Montreal, she undertook a postdoc at the University of California at Irvine in the lab of Gary Lynch from 1991 to 1994. Her work focuses on the cellular and ionic mechanisms controlling the neuronal firing pattern in brainstem circuits involved in pain and movement control of the orofacial region. She has used imaging, optogenetics, electrophysiology and neuroanatomy approaches to better understand the role of astrocytes in the sensori-motor integration occurring in these circuits. Her recent work described how astrocytes, astrocytic coupling and the astrocytic calcium-binding protein, S100β, determine the neuronal firing pattern by regulating the extracellular Ca2+ concentration. More recent studies extend these findings to circuits of the visual cortex. 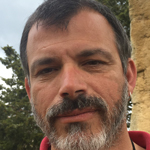 Dr. Giovanni Marsicano is a tenured researcher at Inserm. He leads the group “Endocannabinoids and Neuroadaptation” at the NeuroCentre Magendie, an INSERM and University of Bordeaux Research Center devoted to neuroscience. Dr. Marsicano is a Veterinary Medicine Doctor as formation. After his diploma, he worked on research related to Embryonic Stem Cells from farm animals and to xenotransplantation models in Italy for 4 years. He then moved to the Max-Planck Institute of Psychiatry in Munich for a PhD student position, where he initiated the work on the role of type-1 cannabinoid receptors (CB1) and of the endocannabinoid system (ECS) in brain physiology, which since has been his main research interest. The subject of his PhD thesis was the generation of conditional mutants for CB1 and anatomical and functional studies on the mechanisms of action of the ECS. After PhD graduation in 2001, he made two post-doctoral periods in Germany and moved to Bordeaux in 2006 (recruited as Inserm senior scientist in 2007) to lead his independent research group. He is member of the SfN, the French Society of Neuroscience, the International Cannabinoid Research Society (ICRS) and of the International Society of Neurochemistry (ISN). By using conditional mutagenesis in mice and behavioral, biochemical and electrophysiological tools, his work contributed defining the role of CB1 in specific cell populations in learning and memory, food intake and energy balance, anxiety, stress-coping and others. Through a clear bottom-up scientific approach, these studies allowed exploring some general principles of brain functioning, such as the balance between excitation and inhibition, the interactions between the brain and the periphery, the importance of energy metabolism in brain functions and, more recently, the interaction glial-neurons. In 2012, by generating conditional mutant mice lacking CB1 receptors from GFAP-positive cells, he contributed to define the role of astroglial CB1 receptors in the working memory effects of cannabinoids and on their in vivo electrophysiological correlates. Since then, the role of astroglial CB1 receptors became one of the most important lines of research in his group. In particular, published and ongoing studies deal with the impact of CB1 receptors on gliotransmission and bioenergetic functions of astrocytes. Dr. Marsicano will present a brief critical analysis of advantages and limitations of behavioral approaches in neuroscience and will summarize the recent results of his team concerning the roles of astroglial CB1 receptors in brain functions. 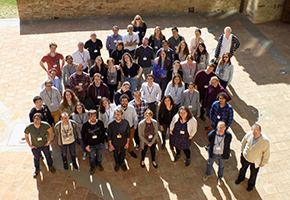 Dr Francesco Papaleo is group leader of the Genetics of Cognition laboratory at the Neuroscience and Brain Technologies department of the Istituto Italiano di Tecnologia, Italy. The main goal of his research effort is to investigate the mechanisms underlying social and cognitive deficits related to psychiatric-disorders, also disentangling the highly variable responses to pharmacological treatments. To reach this goal, he uses a cross-disciplinary approach including detailed studies in genetically modified mice and parallel clinical investigations. Furthermore, he employ a combined approach beginning at the behavioral level and culminating at the cellular and molecular level, integrating multifunctional behavioral and neuronal outputs (e.g. in vivo electrophysiology, in vivo microdialysis, in vivo pharmacogenetics, in vivo optogenetics). Dr. Papaleo spearheaded this line of research through his previous research experience at the University of Padova (Italy), University of Bordeaux (France) and at the National Institute of Mental Health in Bethesda (USA). As PI at the Istituto Italiano di Tecnologia he developed new and more effective behavioral paradigms to finely dissect higher-order cognitive and social functioning in mice trying to directly coupling translational work in human healthy controls and patients with psychiatric disorders. In recent years, Dr. Papaleo laboratory provided the neuroscience research community with important findings on the role played by gene mutations in cognitive and social abilities with highest translational validity to/from human studies. Mice-Humans translational studies are of critical importance to unravel the mechanistic bases of cognitive and social deficits present in several psychiatric and neurodevelopmental disorders. Dr. Christine Rose is Professor and Head of the Institute of Neurobiology at the Heinrich Heine University Duesseldorf, Germany. She received her Ph.D. in Zoology in 1993 at the University of Kaiserslautern with Dr. Joachim Deitmer. From 1994-1997 she received a stipend of the German Research Foundation (DFG) and did a post-doctoral training with Dr. Bruce Ransom at Yale University (USA). She then joined Dr. Arthur Konnerth’s laboratory, first at Saarland University, then at the Ludwig Maximilians University Munich, Germany, where she completed her professional dissertation in 2002. 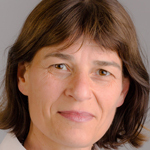 She received a Heisenberg Stipend in 2003 to start her own independent research activities and was appointed as full professor at the Heinrich Heine University in 2005. Her research focuses on the cellular physiology of astrocytes and the mechanisms of ion homeostasis and signalling. She and her team have described activity-related sodium signals in astrocytes and neurons in the rodent brain and analyzed their relevance under physiological and pathophysiological conditions. Main techniques employed are fluorescence-based imaging and electrophysiological approaches. Together with Frank Kirchhoff, she is coordinator of the priority programme “Glial Heterogeneity”, launched by the DFG in 2014. From 2012-2016, she was elected member of the Review Board "Cellular Neuroscience" of the DFG. She is currently Spokeswoman of the Section “Cellular Neurosciences” of the German Neuroscience Society.